Ten fragrances in the Iunx range in addition to L’Ether Eau de Parfum and Splash Forte were created by Olivia Giacobetti between 2003 and 2004. Below, I present a brief Iunx description in italics, with my own comments underneath. One thing I should clarify is that these are fragrance waters, extremely light compositions based around a single note. Please do not expect Angel level tenacity from them, since at best they last for half an hour, although No. 3 and No. 5 are slightly more potent. One may perhaps wonder as to the necessity of something that does not last, and I would say that these are rather fun fragrances, especially suitable on hot days, or days when one needs something uplifting, but does not want a sillage, or lives someplace that bans fragrances in public places, like Nova Scotia. Nevertheless, I wish that Olivia Giacobetti came out with stronger versions of these Eau de Toilettes. No. 00 L’Eau Juste (Pure Water) “The true essence of water, as pure as a wave. Thus plant and mineral based fragrance is the water of waters: the beginning of time.” Absolute of cucumber, mint, violet leaves.…. Sheer, delicate composition. Five minutes of serenity. No. 01 L’Eau Argentine (Argentine Water) “This is the fragrance of the wise men, an aromatic infusion of wood and mate leaves.” Leaves and twigs of mate, rice, dry hemp. Tea leaves note with an undertone of musk. This is soft, smooth cedar, producing a sensation of condensation on the cedarwood shavings. A lovely choice for any cedarwood lover. 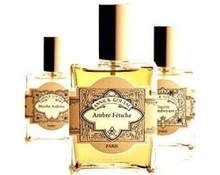 Green and dry anise focused fragrance, which is among my favourite in the range. The licorice-like coolness of anise is captured perfectly. One of my favourite fragrances in the range, due to its tantalizing combination of icy pear and subtle spicy warmth. Its lasting power is oh so poor, but as a splash in a hot summer weather, it is wonderful. Applied liberally it affords a refreshing mouthwatering whiff and the pleasant crushed pear on ice accord is worth the hassle. No. 05 L’Eau Qui Pique (Burning Water) “Fire water. Imagine Andalusia, scarlet chili peppers in the sun, a warm shadow. Feel the fever.” Green coriander, mint, red pepper, red cedarwood. Another favourite from the range. Despite the allusion to red chili peppers, this is a rather tame fragrance that feels only slightly warm on the skin, calling to mind the sensation of having fallen asleep in the mild afternoon sun and waking up to feel its warmth pervading the entire body. The main accord reminds me of soft incense and it is very pleasant. L’Eau Qui Pique has the best tenacity of all Iunx waters and even after a few hours of liberal application, its delicious warmth lingers. A true limoncello fragrance, a bitter sweet Italian lemon liquor. I love lemons in all their guises. I have been known to eat an entire lemon–skin included–for dessert, since I enjoy the bittersweet flavour and the sour tanginess. Ice Water is a great way to enjoy the same bittersweetness. I especially like it as a rejuvenator in the morning. A pleasant citrus fragrance, with a combination of bitter-sweet lemon accord. I absolutely adore the combination of sweet juicy pulp, tangy peel and green leaves, something I have not been able to find in any other fragrance. Alas, it does not last for even 10 minutes. Still, for those ten minutes, it is a scent of tangerines filling the air of the winter marketplace with a deliciously sweet fragrance of Spanish summers. No. 08 L’Eau Baptiste (Baptismal Water) Orange blossom, acacia honey. A soapy orange blossom focused composition. It is closer to the scent of neroli than an orange blossom on the branch, but lovely nevertheless. No. 09 L’Eau Blanche (White Water) “Still Water, a whiff of white linen drying in the sun.” Linen, white iris, teak wood. True, it was a whiff, lovely whiff of woody iris, but a whiff nevertheless. Splash Forte “Scarlet elixir jazzed up with red spices.” Black cumin, bay leaves, nutmeg, red cedarwood, musk, quinine wood. Dark spices in a musky base. L’Ether Eau de Parfum Notes: myrrh, benzoin, rosewood, saffron, maple wood, white sandalwood. L’Ether is the only fragrance available in Eau de Parfum concentration, and it is a very interesting composition of myrrh, roses and woods. It is resinous, yet slightly sweet and spicy, moving in undulating waves on the skin, much like smoke tends to do. I imagine that it would be better suited for a cool weather, for walking around snow covered streets and inhaling the scent of winter. L’Ether is a panoramic composition, the notes of which explode in unison, enveloping the wearer in an ethereal cloud. For those who like a touch of incense, without too much assertiveness and smokiness, this fragrance will be a great discovery. mreenymo: V, may I ask something that is probably not appropriate and quite impolitic, but feel that I must ask nonetheless? My question is: If these EdT’s don’t last on the skin, why would one spend their hard earned money on them? Robin: I have tried most but not all. No. 3 was my favorite. I loved the citrus ones too (6 & 7), but they were too short lived to even consider). Victoria: K, yes, it is fascinating. Some of them last a short while, but others have some tenacity. They are really interesting, otherwise I would not be bothering with them. Victoria: R from LA, hardly inappropriate! I address the question you ask in the first paragraph. Above all, the question of the need for fragrance waters is a taste as well a lifestyle issue. I found plenty of uses for them–quick pick me up during the day, especially when I teach and when strong fragrances I tend to like seem inappropriate. Or when I travel, which I do at least twice a month due to certain circumstances at play right now. Some of my favourites have enough of sillage to be interesting, esp. when used as splash as they are designed to be. 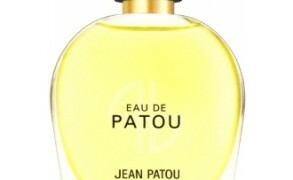 BoisdeJasmin: Kathy, what a wonderful description! I shall definitely revisit Splash Forte once it cools down here. Powdered spice sounds quite enticing. Thank you mentioning it.